A prominent member of Switzerland’s largest political party has called upon federal authorities to arrest Henry Kissinger as a war criminal if he attends the 2011 Bilderberg conference of global power brokers which is set to begin on Thursday at the Hotel Suvretta House in St. Moritz. Baettig is no fringe figure, he’s the equivalent of a US Congressman, representing the Canton of Jura on the National Council of Switzerland. His party, the Swiss People’s Party, is the largest party in the Federal Assembly, with 58 members of the National Council and 6 of the Council of States. 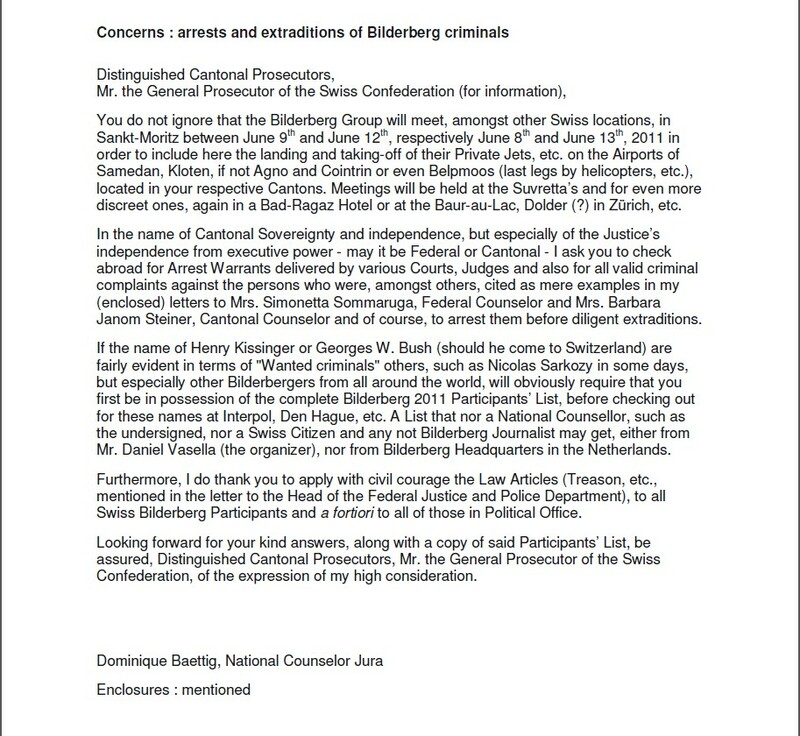 Baettig’s letter also calls for the apprehension of George W. Bush and French President Nicolas Sarkozy, but neither are likely to be attending the conference. However, Kissinger is a regular Bilderberg attendee and is almost certain to be present in St. Moritz. In The Trial of Henry Kissinger, author Christopher Hitchens documents how Kissinger personally approved bombing campaigns that resulted in thousands of civilian casualties as well as signing off on the use of the deadly chemical Agent Orange. United States General Telford Taylor, the former chief prosecuting officer at the Nuremberg trials, stated that Kissinger committed war crimes by giving the nod to bomb Vietnamese villages during the war. Although Bilderberg’s primary confab will take place in St. Moritz, other associated meetings will also occur in Zurich and Geneva. Unlike the small group of independent journalists who will travel to the location to do the job that the castrated establishment media refuses to undertake, Bilderberg elitists can rely on private jets and helicopters to transport them between the different locations. 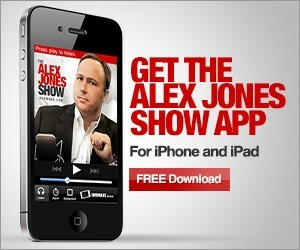 In recent years, Bilderberg luminaries have decried the increasing number of demonstrators and independent journalists who descend on the scene of each annual meeting, which is the primary reason why members will be hopping around to different locations within the small country of Switzerland to escape the glare of reporters and the unwanted attention of protesters. Claims by apologists that Bilderberg is merely a talking shop that has no influence on setting policy have been vehemently debunked in recent years. Bilderberg chairman Étienne Davignon last year bragged about how the Euro single currency was a brainchild of the Bilderberg Group. “A meeting in June in Europe of the Bilderberg Group- an informal club of leading politicians, businessmen and thinkers chaired by Mr. Davignon- could also ‘improve understanding’ on future action, in the same way it helped create the Euro in the 1990s, he said,” reported the EU Observer in March 2009. The foundations for the EU and ultimately the Euro single currency were laid by the secretive Bilderberg Group in the mid-1950’s. Bilderberg’s own leaked documents prove that the agenda to create a European common market and a single currency was formulated by Bilderberg in 1955. As we first reported in 2003, a BBC investigative team were allowed to access Bilderberg files which confirmed that the EU and the Euro were the brainchild of Bilderberg. During an interview with a Belgian radio station last year, former NATO Secretary-General and Bilderberg member Willy Claes admitted that those who attend the conference are mandated to implement decisions that are formulated during the confab within their respective spheres of influence.